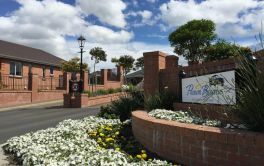 # 20 of 409 Retirement Villages in New Zealand. This facility is owned by Metlifecare Ltd [VILLAGES]. 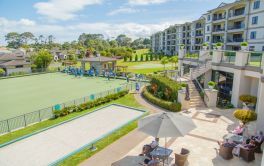 GREENWICH GARDENS Retirement Village Metlifecare is located in Sunnynook, Auckland and offers 27 dwellings with RETIREMENT VILLAGES of independent retirement living. See how this compares with other facilities! 10% per year, for 3 years. × Have you visited this facility? 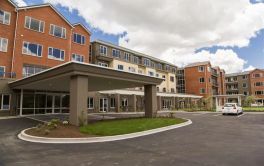 Help others who are looking for a place by posting a review on GREENWICH GARDENS Retirement Village Metlifecare or review a different facility now. Security (24hrs). Friendliness. Fall care available if needed. Satisfied with running of village. How do you know about this place? Delightful place to live in. No purpose built Theater, although large widescreen TV in Lounge for DVD presentations. The Management team is doing an amazing job and providing us with what was expected during this development period. Good position, m/way, shops. Good neighbors. Nice villas. Gardens and surroundings should be finished before occupying. Convenient lifestyle. Known costs. Fixed monthly charge. No share of capital gain. Reduced share of purchased price. 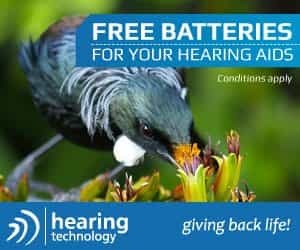 Know someone that would like to place a review but doesn't have access to a computer? This appears to be an employment request and will not be seen by the correct person. If you are looking for work, click “Yes, I am looking for a job.”. If this is an enquiry about availability then click “No. I’m not looking for a job.” to send. No. I’m not looking for a job. Yes, I am looking for a job. NOTE: For work related enquiries, click here. Please email me any updates. We can also send your enquiry to these facilities below. Simply untick the ones you're not interested in and click "Send" or simply click "No thanks".